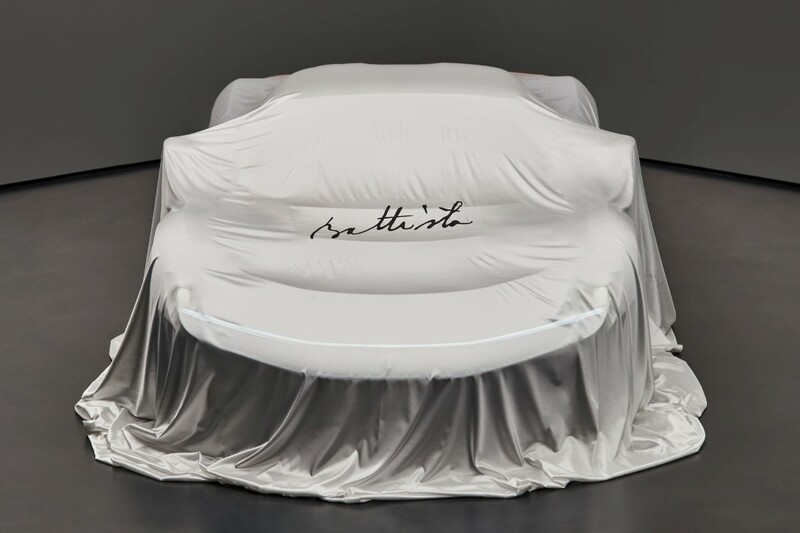 When you create a car that literally is made to stand at the pinnacle of your legacy, you give it a special christening. 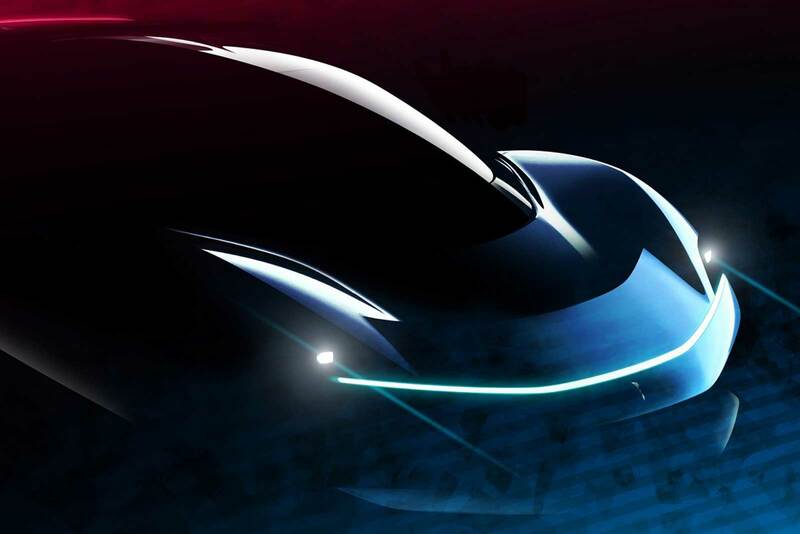 Pininfarina has unveiled their most powerful automobile yet. 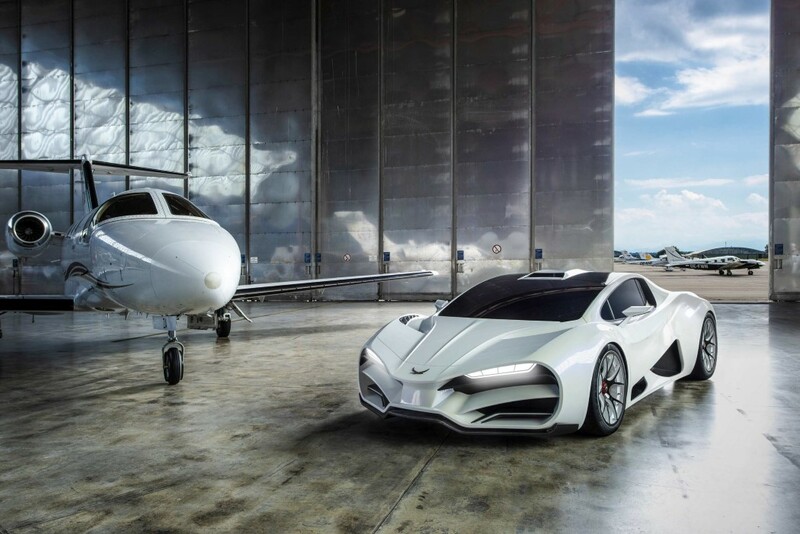 Named after the person who began it all, the car (which was referred to as Project PF0 until now) is being called Pininfarina Battista, after the company’s founder, Battista ‘Pinin’ Farina. 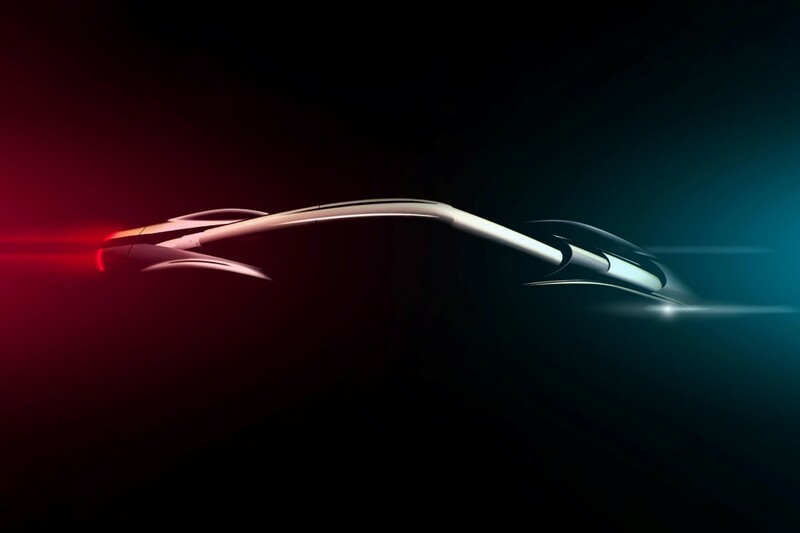 The Battista seals Pininfarina’s reputation as one of the leading automotive design studios in the world. 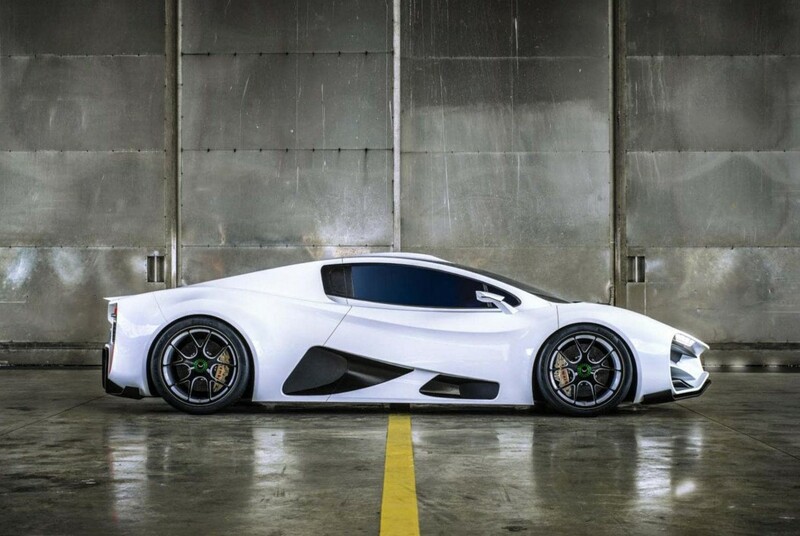 It’s touted to be Italy’s most powerful and fastest car ever made, with a 1,900 horsepower electric drivetrain, a top speed in excess of 350km/h, a 0-100km/h acceleration that’s under 2 seconds, and an impressive range of over 500 kilometers on a single charge. 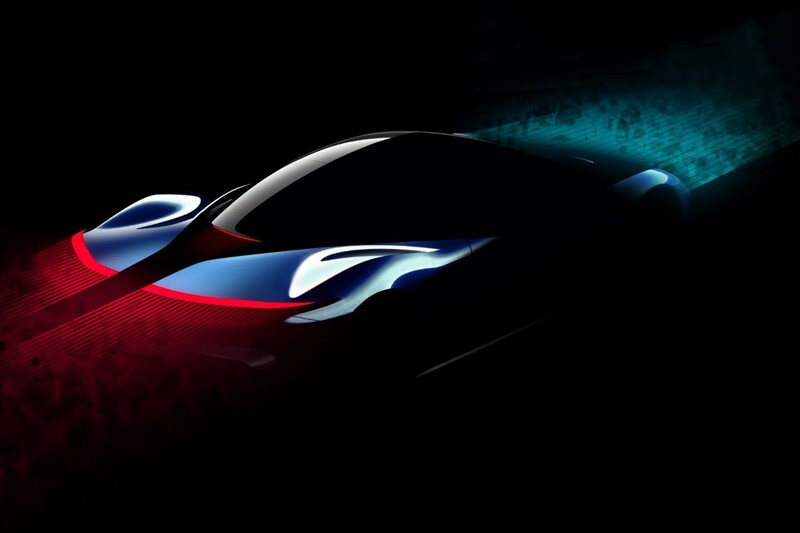 The hypercar’s highly anticipated design still remains under wraps (quite literally), but a few renders showcase what it may look like. 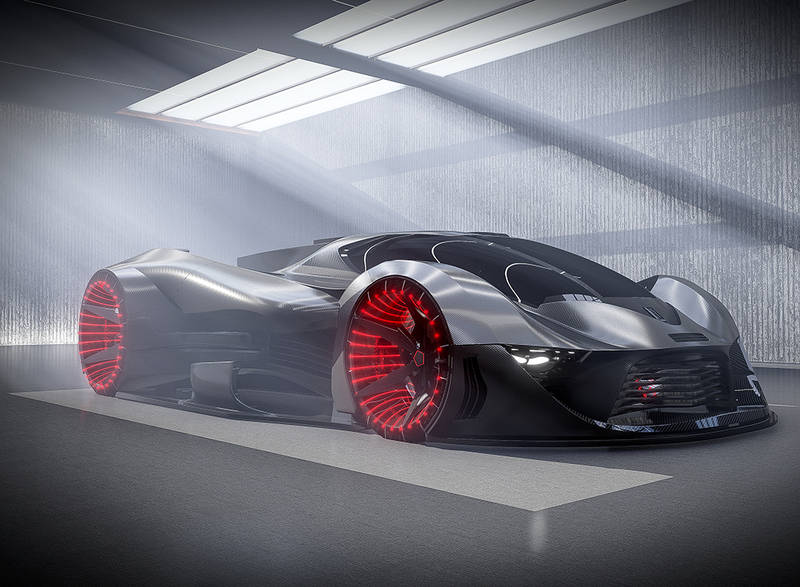 The razor-thin headlights and taillights do get the heart racing, don’t you think?! 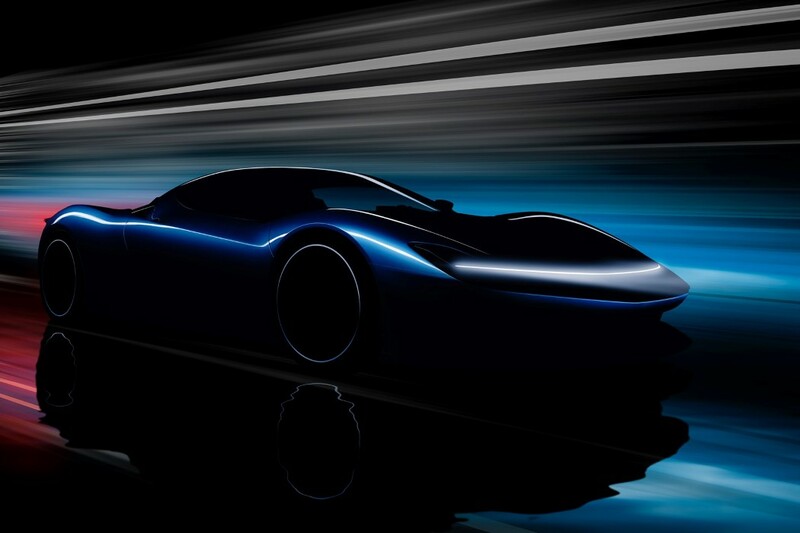 The car sports a powertrain developed by the Croatian company Rimac, and a battery pack that sits within a bespoke carbon fibre monocoque, with a charge time of 0% to 80% in under 40 minutes. 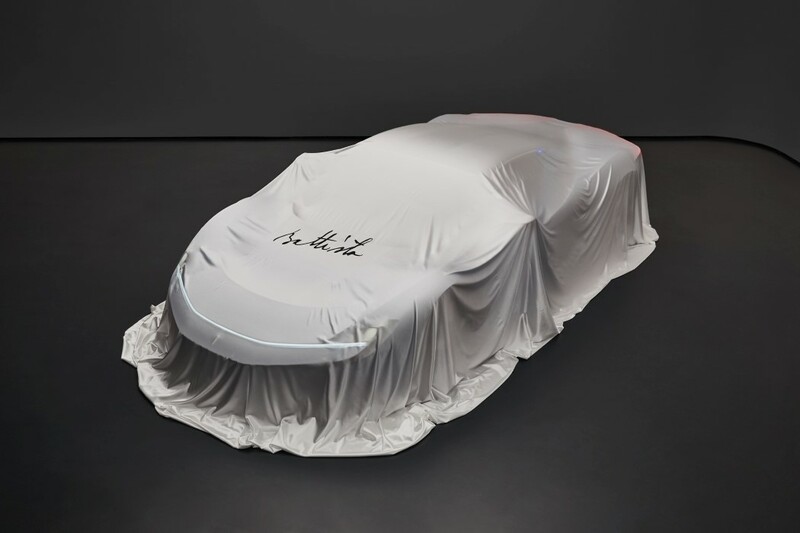 The Battista will be limited to a run of 150 units, with 50 allocated to Europe, 50 to the US, and a further 50 for the middle and far east, and should debut around the autumn of 2020, for the lucky 150 customers that book their unit in advance on the website! It isn’t very often that you see cars releasing that look and perform so phenomenally, you need to pinch yourself. 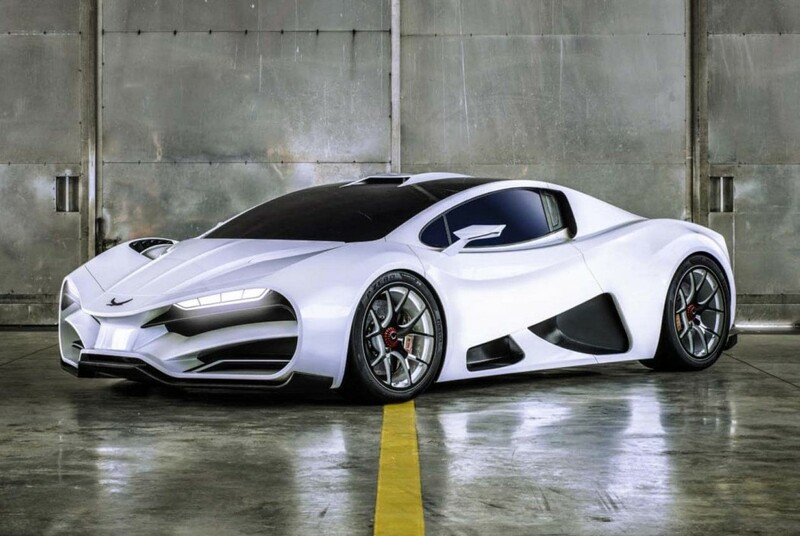 Aiming at being one of the best hypercars in the world, Austria-made Milan Red from Milan Automotive (no, they’re not Italian) could be pitted with the likes of the Bugatti Chiron. 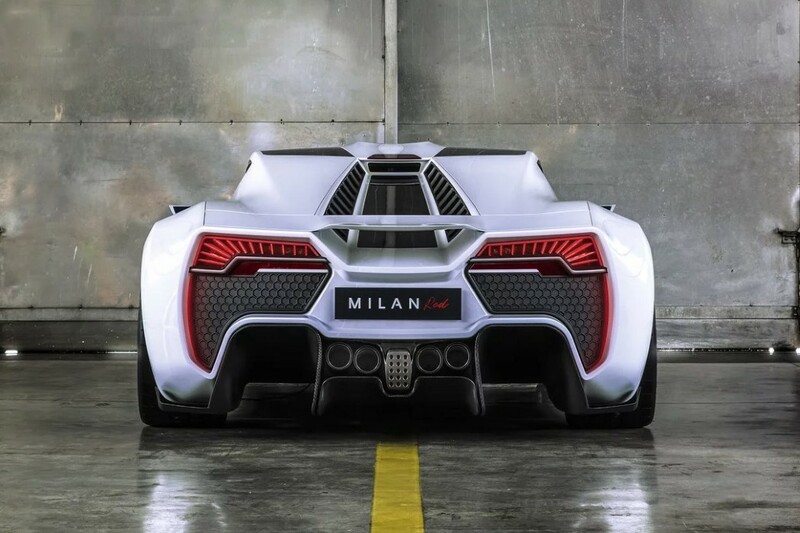 Built with a borderline crazy 1,306 horsepower quad-turbocharged 6.2-liter V8 engine on the inside, the Milan Red can accelerate from 0-62 in just 2.47 seconds, has a maximum speed of 249 mph, and is capable of producing a whopping 2.6 Gs of lateral force – for reference, humans begin blacking out at 4 Gs of force. 2.6 Gs is enough to send your eyeballs to the back of your skull. 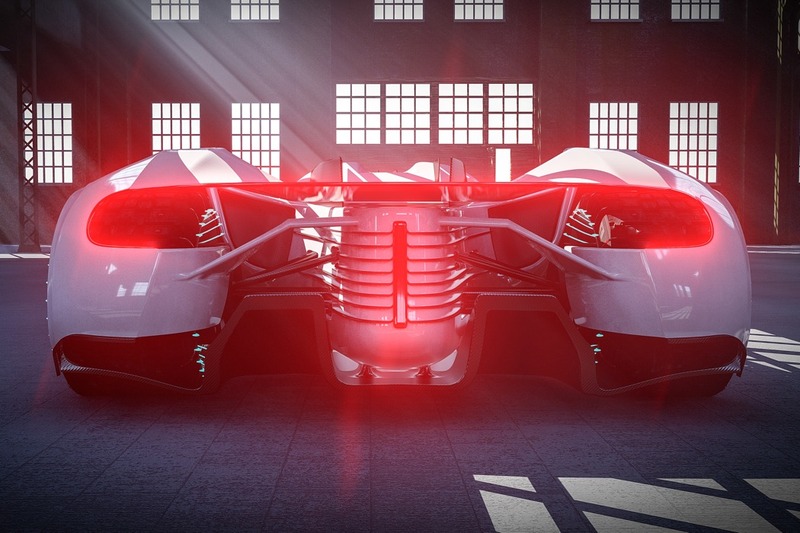 If that isn’t daunting enough, the car comes in three driving modes… Glide, Hunt, and Attack! Built to be an absolute beast, as the specs would have you believe, the Milan Red looks the part too, with a menacing looking front face. 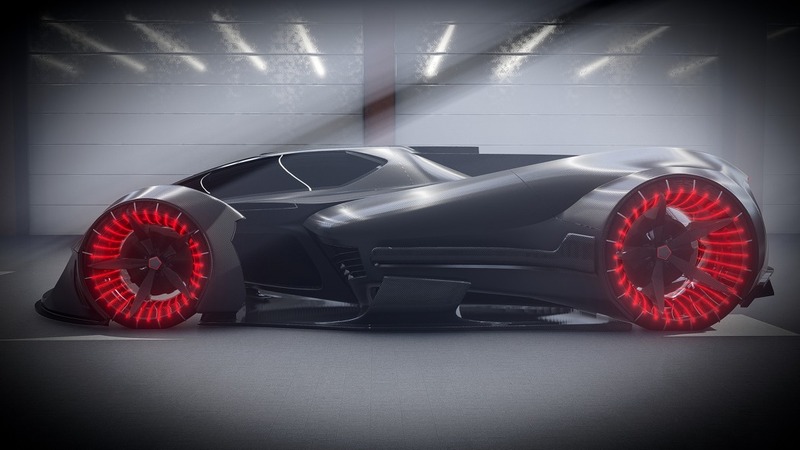 The car balances between being edgy and showcasing curves, and the overall exterior looks aggressive and feels aerodynamic… but that’s only because the car’s standing still. Get it moving and I doubt if you’ll even see the blur it makes as it whooshes past! 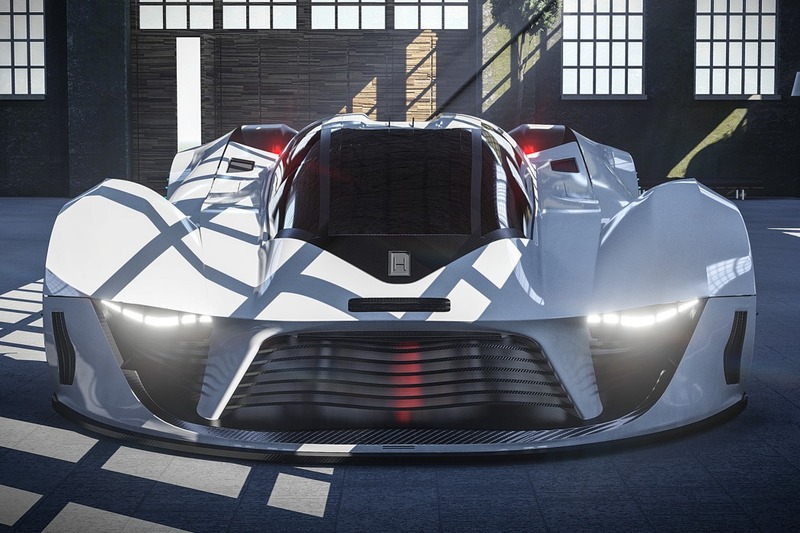 I have had an obsession with automotive design since I was a kid and loved imagining what the future held in terms of wild new cars. 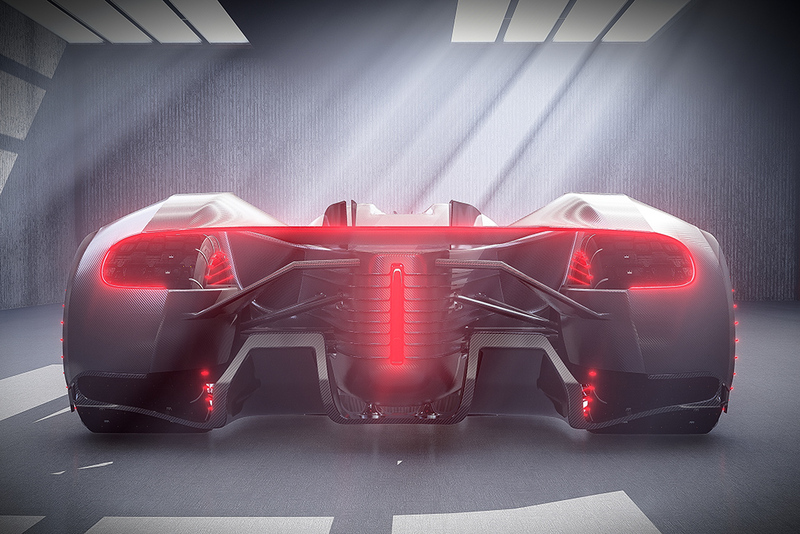 Looking at the Tauro concept, I feel like it’s all of my childhood automotive daydreams wrapped up into one mean-looking machine! 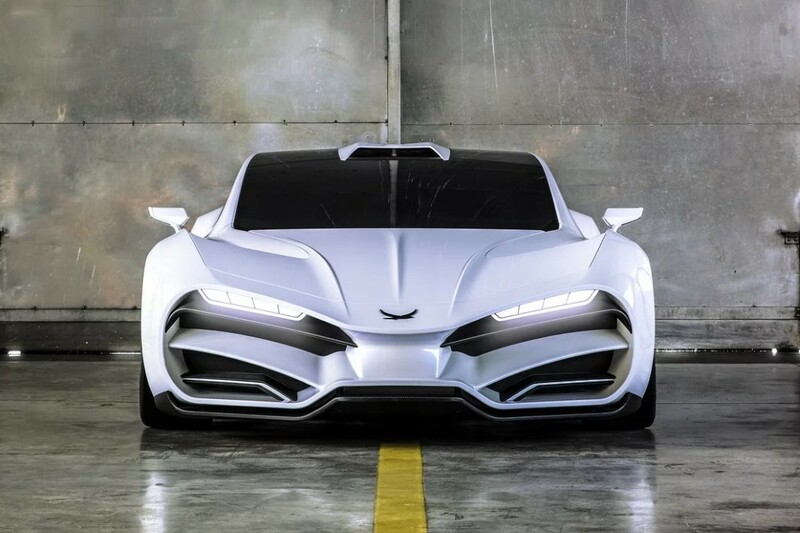 Named Tauro (Catalan for Shark), its aggressive styling takes inspiration from the shark. 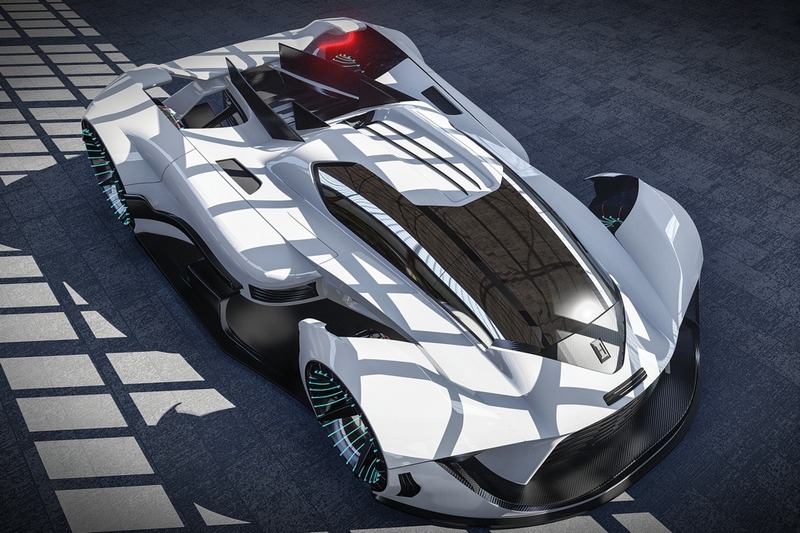 However, this autonomous electric hypercar is as much a technological exploration as a visual one. 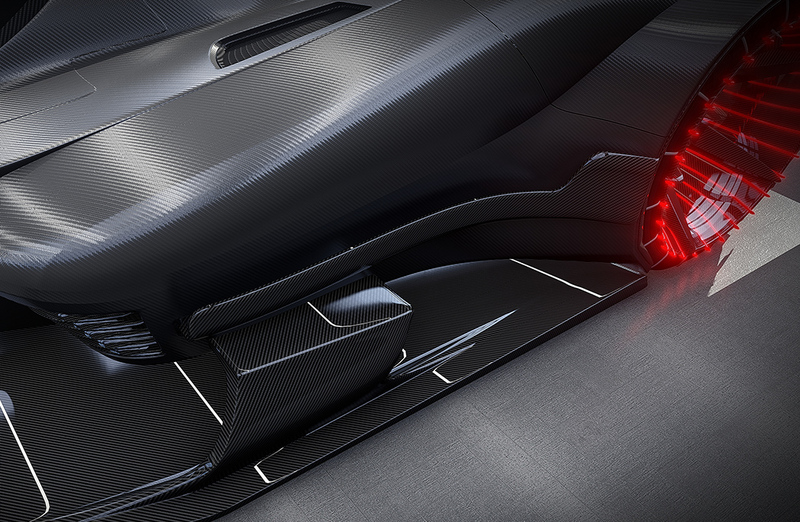 It features cool, new elements including an aerodynamically-optimized, self-healing “shark skin” that melds back together if a ding happens, a magnetic traction system that works in tandem with specialized roads to enhance grip, and recharging system that harnesses wind, solar, and kinetic energy. Despite its low-slung look with a relatively short wheelbase, it’s got a big fat footprint that feels ultra-wide and adds to its grip and aesthetic aggressiveness. 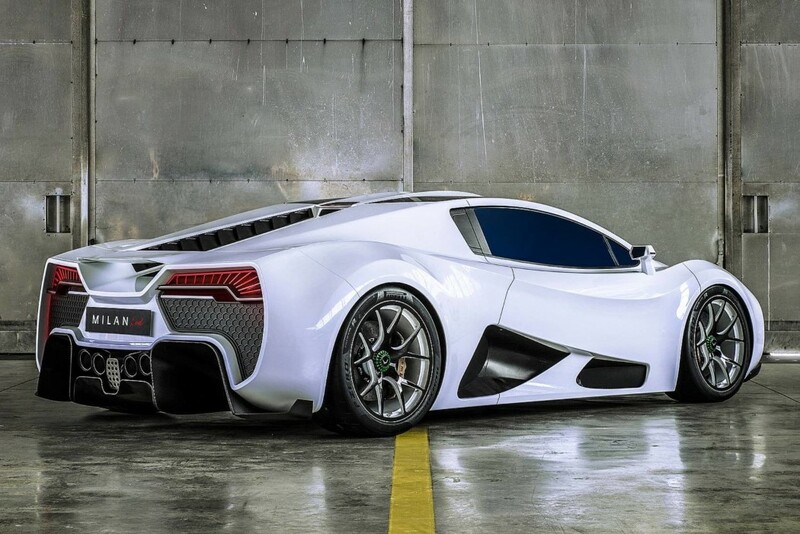 For me, I see a little bit of Lambo Diablo and Ford Indigo in the design language, but for you it might be something different… and that’s precisely its appeal. Still, it’s something entirely original. I only wish it were the real deal! – Limitless range thanks to Multi-level lithium-ion battery recharge systems (kinetic brakes, wind gills, solar and magnetic recharge. Other than standard maintenance, eliminates the need for stop and go recharging. 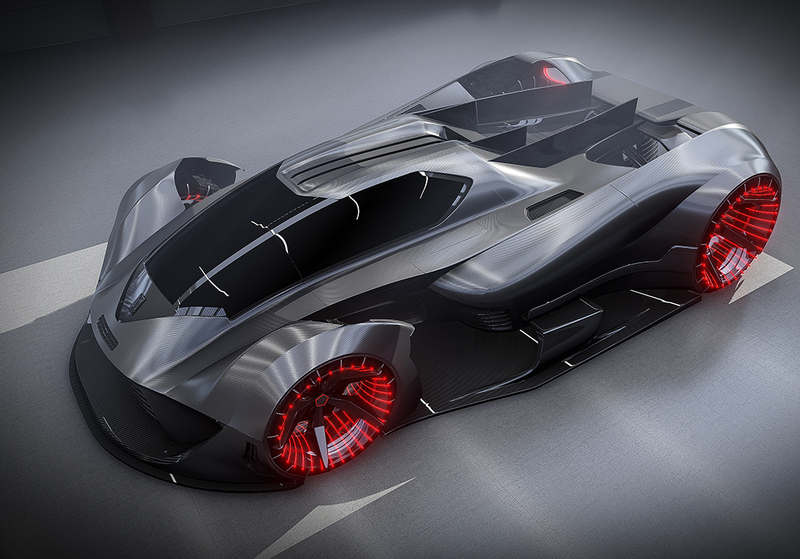 – Fully self-healing ultralight biometric titanium carbon “shark skin” for superior strength and superior drag reduction at high speeds. 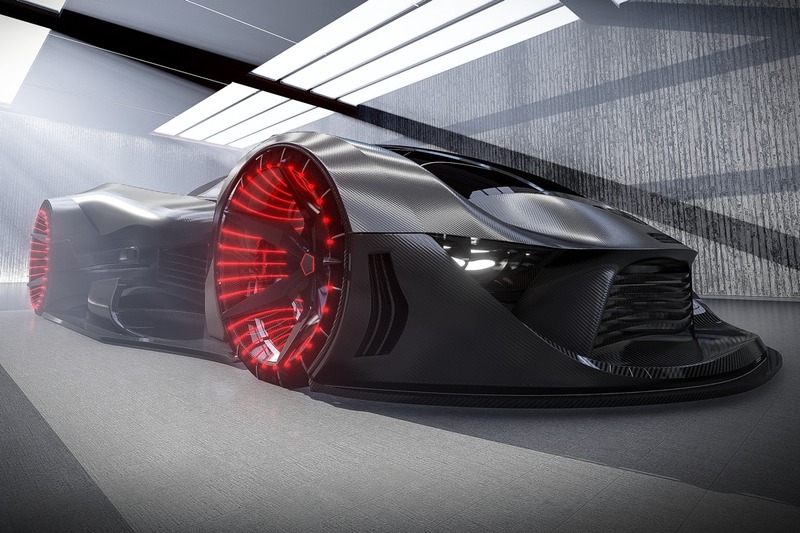 – Specialized magnetic propulsion rims and wheels designed for speeds of up to 350mph (563kph) on specialized magnetic grip roads and 250mph (402kph) on standard roads. – Fully wireless updatable software interface and vehicle management systems. – Intelligent A.I. 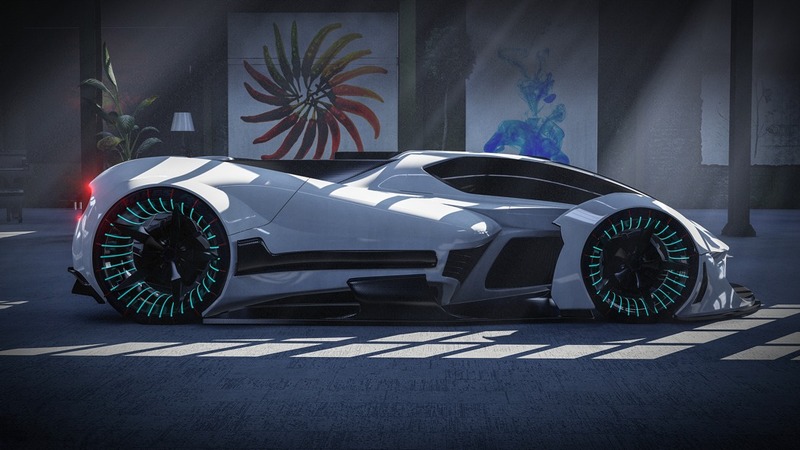 biometric cpu with predictive vehicle control, systems management and human well being systems. – Jet fighter two person seating arrangement. 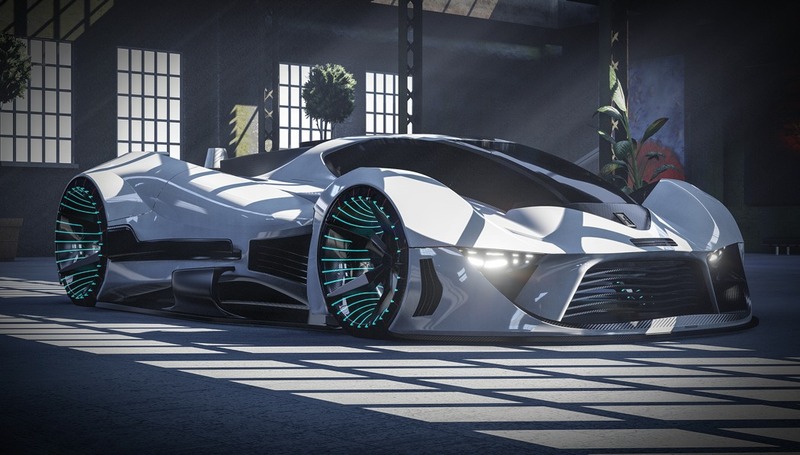 – Holographic projection exterior lighting. 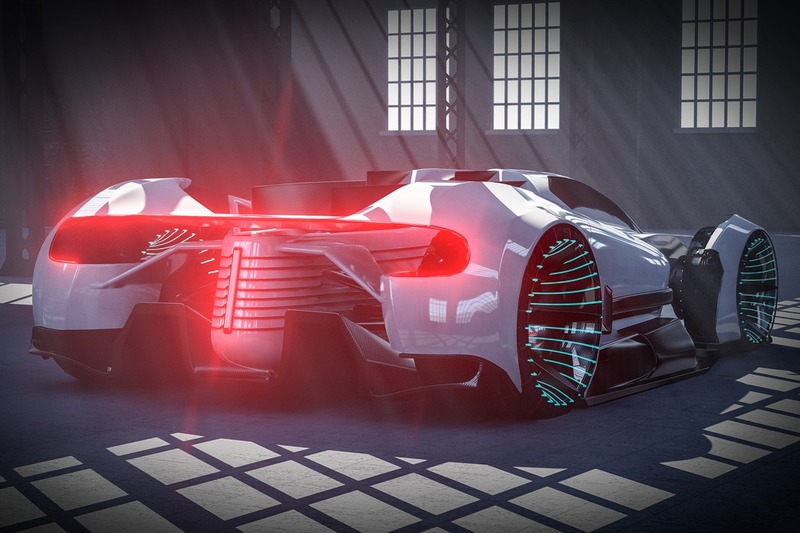 – Aerodynamic plasma headlight/tail light system. 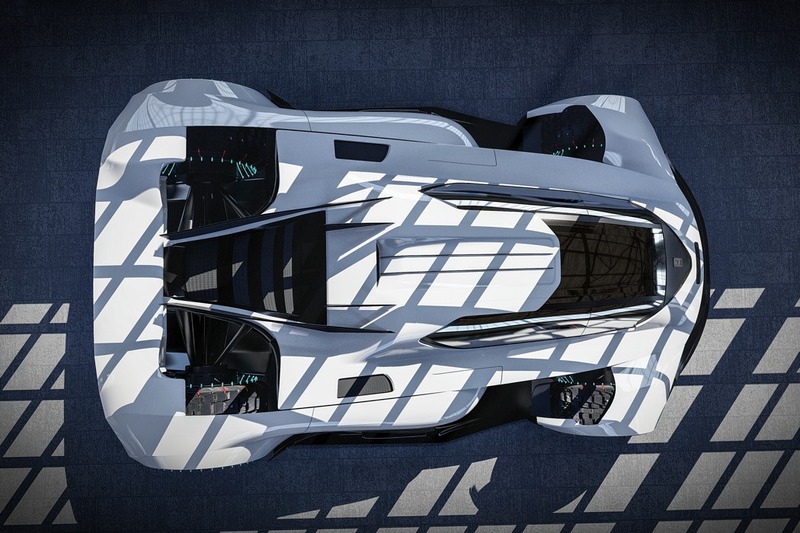 – Adjustable privacy cockpit window goes from carbon glass to fully opaque at driver’s command.